Deciding on an idea for your startup company or real estate deal is just the first step of many on your way to success. In this white paper, we’ll focus on one of the most important steps: Identifying and using the tools you need to market yourself to potential investors. Once you have selected a name and theme for your company, you need to begin developing the marketing tools you will need to meet and engage investors. In the following sections, we will discuss the recommended marketing tools, their purpose and when to use them. To ensure maximum success, you should hire a professional editor and graphic designer to help prepare your marketing materials. In my experience, doing so will allow you to raise money faster and from higher net worth individuals. An experienced editor and graphic designer can make your marketing materials measure up to the professional materials and prospectuses offered by large investment companies and hedge funds who are the competition for investor dollars. DIY marketing materials are for amateurs. So, while it may be okay for you to create them yourself for your first offering or two, as you grow, consider hiring professionals. The more professional you appear to investors, the more confidence they will have in your ability to safeguard their investment¬–and the more confidence you will have in your presentation. Your marketing materials and you are the face of your company; make sure you put your best face forward. Using professionally created marketing materials will help you grow your business faster and will maximize your long-term fundraising success. In addition to having a plan for meeting new investors, you will need to develop a toolkit of marketing pieces (collectively, your marketing materials) that you can use at various stages of your relationships with your investors. If your company is an LLC, your cards need to say “LLC” after the company name. Although it is not required that you use “LLC” in your logo, you must state it elsewhere when you first state the name of your company on the card and in other marketing documents you will create. This constitutes your announcement to the world that you are acting as a limited liability entity. You can’t drop this from your legal name unless you obtain a “dba” from your local county government office. Your title should invite conversation, so use a compelling title such as “Acquisitions Manager”, “Acquisitions Director”, “Investment Manager”, or “Investor Relations Director”; in some cases, “Fund Manager” may be appropriate. Don’t use “Managing Partner” as your title. There are technically no “partners” in an LLC; there are only managers and members if it is a manager-managed LLC, or managing members if it is a member-managed LLC. Further, don’t call yourself the President or CEO if you are trying to invite conversation, as no-one will ask you what that means as they will believe they already know. Additionally, you should consider using a phrase or ‘tag line’ on your card that describes what you do, such as “Commercial Property Acquisitions and Investments”. This isn’t a resume, so do this in paragraph format (not bullets). It doesn’t have to be long, just two to three paragraphs at most. Use a professional photo or headshot– it shouldn’t be more than two years old – and preferably not one you took with your phone, your high school graduation photo, or wearing your favorite holiday sweater. List your name, title and role in the company that will be raising the money. Describe your related experience, training or education. You can also prepare a brief company biography that discusses your company and what it does in the most general terms, such as its business philosophy and what makes it unique. You should create biographies for each of the key players on your management team. If you plan to meet investors at live events where you will have a table or booth or at in-person meetings, you may wish to have a brochure-style summary of your company that you can hand out. 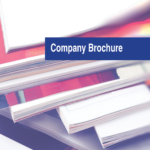 A typical company brochure will include a description of your company, its purpose and mission statement, and biographies of key principals. I like an 11- x 17-inch version folded in half and printed on light cardstock or magazine print. This gives you four full 8.5- x 11-inch pages to illustrate the highlights of your offering. You will want to add some compelling photos related to your project tor company and headshots of your management team. Your website is your company’s window to the world. It’s the place you can showcase your management team members, your company philosophies and objectives. Your About Us, Who We Are, What We Do, Why We Do It pages tell the story of your company. If you have a Rule 506(c) or Reg A+ offering, you can also talk about your investment opportunity. You must use a password-protected area of your website to post Rule 506(b) offering materials so that they are visible only to people with whom you have established pre-existing relationships. You can post your 506(c) or Regulation A+ offerings directly on your website, but I don’t recommend it unless you are using a commercial investor management system where you documents can be safeguarded from being downloaded, altered and re-posted by identify thieves (I have actually seen this happen!). Additionally, your website is a nice vehicle to give away free information in exchange for contact information. 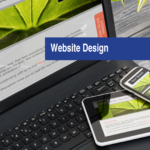 You will want to discuss your website objectives with your web designer. If you are raising money for a specific purpose (a specified offering), you will need to prepare a “project overview” that describes your specific project; whether it’s a startup business, an existing property you are buying, or a real estate development project. For a real estate offering, this may also be called a “Property Summary”, “Property Package”, “Property Overview” or “Property Information Package”. Realtors often call the version they generate an ‘offering memorandum’. 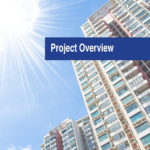 The purpose of your Project Overview is to describe your specific investment opportunity to investors. It provides relevant information about the project, including what your company is buying or developing, where it is, how you propose to generate a return, what you’ve done to date, and your plan for the future, and who is in your management team. It should include a sources and uses of funds table, financial projections during the period of company operations, and proposed exit strategies, all in plain English. This document is designed to be an exhibit to a Private Placement Memorandum or Offering Circular and a standalone marketing piece for your securities offering. It doesn’t replace any of the legal documents required for your offering. For a startup business, the project overvivew will describe your product or service, why it’s needed, your competitors, your marketing, operations and exit strategies, and what funds are needed for current and future phases of your company. The entire document should be no more than 16-20 pages – around 15 is ideal – with short text paragraphs, lots of photos, graphs, and tables. Anything longer than 15 pages will become redundant and disrespectful of your investors’ time. An investor needs to be able to read your Project Overview in 30 minutes or so. 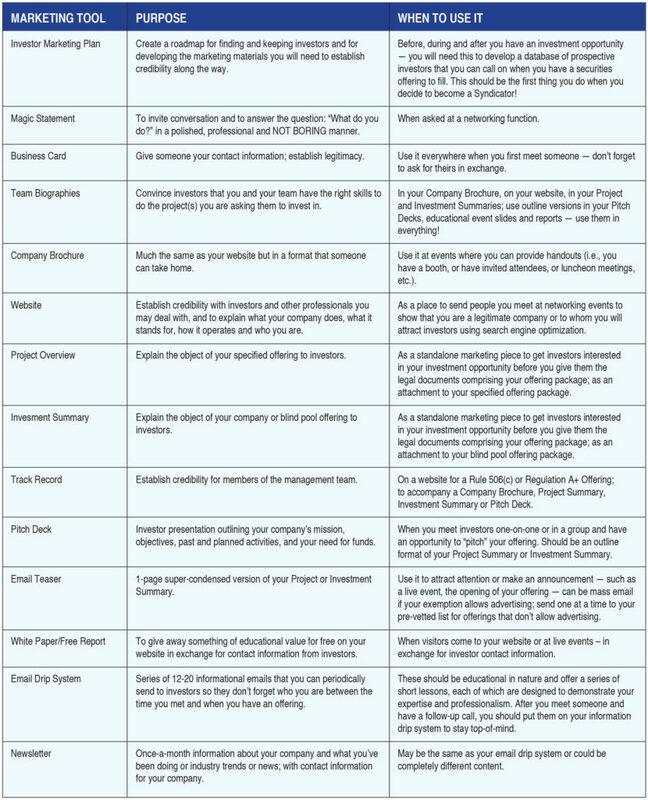 If you are doing a semi-specified or blind pool offering, you will write a more comprehensive “investment summary” that describes your business model and investment criteria. Think of this like a condensed version of your business plan containing only the information your investors want to know. The purpose of your investment summary is to help you solidify your business model and explain it to investors in a logical, coherent, and compelling format that you can use to raise money for your company; or to get investors ready for when you do have a deal so they already know they want to invest with you. 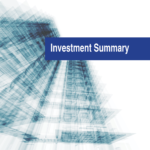 This document will help you explain to potential investors what you are doing, how you are doing it, how it will generate a profit, why it makes sense, and what has to happen before investors get their money back and a return on their investment. The investment summary should be written in plain English – not legalese – and is designed to be an exhibit to your Private Placement Memorandum or Offering Circular and a standalone marketing piece for your securities offering. It is meant to accompany, but does not replace, the legal documents required for your offering. For real estate investors, your track record is the place to showcase the experience of members of your management team with similar properties. 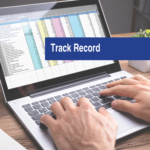 Your track record can be in tabular or narrative format, describing such things as relevant dates (purchase and sale), the type of property, purchase price, investment dollars, total return on investment, etc. Your track record can add tremendous credibility to investors, showing them you have experience and giving them additional confidence in your ability to manage their investment. 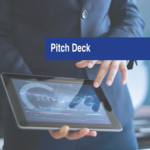 The Pitch Deck is a PowerPoint presentation that explains your business to investors. Ideally, it should be less than 15 pages and should incorporate your company logo and highlights from your Company Brochure and Investment Summary. You would typically present it to investors in a live meeting, event or webinar – or you can use a video conferencing software to go over it with them online. If you have a Pitch Deck and your competitors don’t and investors are comparing you side by side, you win. Your Pitch Deck needs a compelling format, a theme to match the rest of your brand and marketing materials, and relevant content. One of the biggest mistakes in investor presentations is too many words on a page – the page should be designed to prompt you to explain your message, without your having to read the content to your audience. Finally, you will need to condense the most salient points of your offering down to a one-page email teaser that you can send to prospective investors. Be careful of how you use this for a 506(b) offering. You can’t send email blasts, even to investors with whom you have developed a pre-existing relationship. For a 506(b) offering, send emails one at a time, personally addressed to each prospective investor. You will increase the effectiveness of this email if you call each prospective investor first and let them know what you are sending so they know to look for it. It’s one thing to drive traffic to your website, but it’s another to get visitors to give you their contact information. You will greatly increase the odds if you give away something for free, and in the process, demonstrate your knowledge as a subject-matter expert. 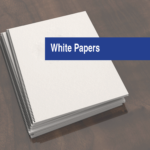 Your white paper should be based on your industry, explaining why investing in your company is a good opportunity for them and why now is the right time to do it. The purpose of this document is to provide educational information and establish you as an authority in your field. Once you issue a free report, you need to have a plan to follow up with the recipient – preferably in a phone call, to get to know them better and see if they are interested in future investment opportunities. In today’s electronic world, it’s easy to create an email drip marketing campaign. The hard part is sitting down and creating relevant content. Taking the time to do this, however, may generate significant rewards. This system will give you a way to immediately begin following up with people you meet at live events (hosted by other people or even by you), chance meetings (such as parties, social events and groups), or who request more information such as your free report or another giveaway from your website. Information should be conveyed in a monthly newsletter or one-page letter format. Relevant content could include articles contrasting traditional investments to real estate, or real estate trends specific to your property type. Other relevant content could include upcoming events of interest to the audience. Be careful, if you are doing Rule 506(b) offerings, to keep the content “generic,” and don’t talk about your current investment opportunities. Always close with an invitation for potential investors to learn more by contacting you directly – and regardless of whether they do, you should follow up with them. This isn’t the place to do a sales pitch. The purpose of this communication is two-fold: 1) to educate your audience and 2) to keep the recipients from forgetting who you are and to keep them interested in reading your emails. If you provide poignant content on a regular basis, your audience will look forward to your newsletter and your calls. Put all potential Investors you meet on a newsletter drip system. Make sure you follow the Federal Trade Commission’s CAN-SPAM Act for internet marketing campaigns.This Act generally requires that you accurately identify where the information originated (an accurate email address and subject line), that the information is an advertisement and an effective and prompt opt-out system. Before making an investment decision, prospective investors will want to be assured that you know what you are doing, that you have some experience doing it, and that you have achieved successful results in the past. Some will want to get to know you by hearing your voice, seeing you speak, and getting to know you. Educational events (live, webinar, video or teleconference) are one way to meet potential investors face-to-face and show them your expertise. If you are a 506(b) issuer, your education content need to be “generic” (SEC terminology) and educational, designed to inform and not to sell. (I liken this to the difference between a documentary and an infomercial; one is designed to inform and the other is designed to sell.) By providing educational information to investors, you can instantly gain credibility as an expert. One way to do this is to teach people what you do as if they were going to do it, too. Few in the audience will try to emulate you. Some will think it’s too much work and consider investing with you instead. Those are the relationships you want to cultivate. If you are doing a Rule 506(c) or Regulation A+ offering, you may be able to have a more targeted meeting where you discuss the details of your offering. But you should always remember that investing is a personal decision and a relationship business. The primary goal of your live event is still to engender trust, credibility and expertise. The objective at this event should not be to sell as much as to be a way to enlarge your database of potential investors for all of your future investment opportunities. https://www.ftc.gov/tips-advice/business-center/guidance/can-spam-act-compliance-guide-business, CAN-SPAM Act: A Compliance Guide for Business.